While I was at the Nebulas, Jean Marie Ward interviewed me about fiction, puppetry and Regency costumes. Jeff Vandermeer interviewed me for Amazon.com’s Omnivoracious blog. He asked only three questions about Shades of Milk and Honey and I can guarantee that you haven’t heard me answer them before. The questions? If your novel were a meal, what would it be? If your novel were a piece of music, who would have composed it? If your novel were an animal, what animal would it be? Read my answers at Omnivoracious: Quick Three Interview: Mary Robinette Kowal on Shades of Milk and Honey. Why do you like to write science fiction and fantasy? Which conventions are your favorites and why? How has your voice acting and puppetry affected your prose? And vice verse? Why shouldn’t all authors read their own works for audio books? Why are so many people attracted to Regency England with its uncomfortable clothes, strict conventions and lack of indoor plumbing and electricity? Do you use first readers or critique groups? What are you writing (or rewriting) now? There’s an interview with me at WIRED on Geek Dad where I talk about puppery, SFWA, Shades of Milk and Honey and writing in general. The article is in the Geeks of Note category, which is really kind of cool. Also extremely cool, io9 names Shades of Milk and Honey as one of their top picks for summer reading. Charlie Jane Anders at io9 asked me and three other SF writers to talk about their experiences in the arts. She’s got Audrey Niffenegger, Rudy Rucker and Stephen Stanley each discussing how their art intersects with their writing. It’s interesting to me to see how much we have in common and how much we differ in how we approach both. Check out SF Writers Who Make Art Are Seeing The Future Anew – Books at io9. 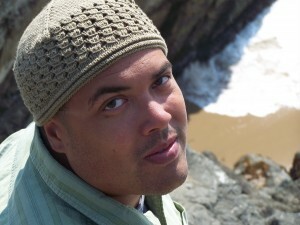 This is the last interview of the 2009 nominees for the John W. Campbell Award for Best New Writer. I encourage you to find fiction by all of these authors and read them. Felix Gilman was born in London in 1974. He holds two degrees in history from Oxford, a J.D. from Harvard Law School, a doctorate in Ludology from the Waldzell School of the Order of Castalia, and certain advanced but curiously non-specific qualifications in modern American poetry from the National University of Zembla. Also he went to Hogwarts. Why not? He now lives with his wife Sarah in New York, where he works as a writer and lawyer. Please don’t ask him for legal advice. He’s not that sort of lawyer, and it doesn’t really work that way. So what did you do when you were notified about the nomination? I was on the phone when the email appeared. I wasn’t expecting to be nominated at all, and I hadn’t been paying particularly close attention to the process, so I was completely caught off-guard. I had to hang up and spend some time online trying to work out what being nominated meant in this context. Did it mean shortlisted or just voted for by one or more people? It took me about an hour to cautiously decide this was probably good news, and not in any apparent way a trap. The current sustained push has lasted since about late 2006. Where did you get the idea for the great city of Ararat? I don’t know exactly. I knew I wanted a city, and I knew I wanted it to be very big, and to feel (a) very strange and resistant to explanation and (b) suggestive of hidden depths, and so everything else followed from the premises. Details were stolen from every city I’ve ever been in or read about or seen on TV, and inserted as necessary as I went along. In 2007, you did an interview with Jeff VanderMeer in which he asked you why you wrote. Among other things, you said, “Ask me again in a year.” Two years later…why do you write? changed from a hobby to an avocation? “Hobby” will do just fine. I’m due to get back edits from my editor at Tor on a third book, A History of The Half-Made World, any day now. Clearing the decks for that. It’s not related to the first two books. Norman Mailer’s Miami and the Siege of Chicago, about the 1968 Democratic and Republican conventions. I don’t know much about most of the figures involved, and 1968’s party politics are so remote and in so many ways inverted from today’s that I really don’t know what he’s talking about half the time, but I enjoy it on the level of a series of portraits of nightmarish grotesques. You could imagine Mervyn Peake illustrating it. What is it about speculative fiction, in general, that most appeals to you? The strange, the grotesque, the absurd; the capacity of really strange fantastic fiction to reflect back how odd the actual world is. Also, monsters. Canadian writer Tony Pi holds a doctorate in linguistics and works in administration at the Cinema Studies Institute, University of Toronto. His short stories have appeared or will appear in diverse venues such as Orson Scott Card’s Intergalactic Medicine Show, Ages of Wonder (DAW), The Best of Abyss & Apex, Volume 1 (Hadley Rille), and On Spec. 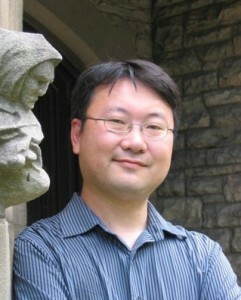 He was a winner in the Writers of the Future Contest, and his novelette “Metamorphoses in Amber” was a 2008 Prix Aurora Award finalist in the category of “Best Short-Form Work in English”. I received the news on Pi Day, which my partner and I were celebrating anyway (just because). We had gone out for dim sum and a walk that morning, and when we came home I checked my email. I almost missed the email because the subject line started with “Congratulations…”, which I generally assume to be spam. But after I read the rest of it, there was a lot of jumping up and down, and explaining to my partner why. We rounded out the day with pizza and apple pie, and the Canadian premiere of the latest Doctor Who Christmas special. All in all, my best Pi Day ever. About thirteen years ago, when I was working towards my PhD in Linguistics in Montreal, a friend invited me to write stories set in a shared-world superhero milieu for a Usenet newsgroup. Back then, I hadn’t thought seriously about writing professionally, since I wrestling with my thesis in semantics. But being a huge fan of the Wild Cards series, I couldn’t turn down the offer. So, in my spare time, I started writing purely for the love of the superhero trope. I wrote a title called Conclave of Super-Villains, with 40 issues and collaborations over the years where I experimented with different voices and forms, and had a blast doing it. Later, when I was sharing an apartment with an aspiring writer, he read my online fiction and pushed me to try paying markets and different tropes. I have them to thank for nudging me in the right direction. Is there a definable point when you realized that writing had changed from a hobby to an avocation? I think the turning point was when I first met authors working in F&SF. In 2001, I took a writing workshop with Robert J. Sawyer, and was also introduced to Elizabeth Bear outside of a writing context. I took to heart their candid accounts of breaking into the field and staying the course, and resolved to follow their example. I started getting acceptances at semi-pro magazines like On Spec and Abyss & Apex, before winning Second Place in the Writers of the Future Contest. In what ways does your background in Linguistics influence your fiction? Linguistics has figured prominently in a couple of stories, like phonetics in “The Stone Cipher” (Writers of the Future, Vol. 23) and forensic linguistics in “Come-From-Aways” (appearing soon in On Spec #76). Having studied linguistics for so long, I’m always happy when I have an idea where language is central. Part of the fun is showcasing the versatility of the discipline. Do you ever think about writing screenplays? Only briefly. Although I work as an administrator at the Cinema Studies Institute (which we affectionately call CSI), I don’t think screenplays are my forte. I have experimented with different forms of creative writing, reading voraciously about writing fiction, screenplays, plays, comics and different genres. I decided in the end that I prefer writing prose fantasy, science fiction, and mystery. However, I have several stories where the cinema plays a large role. I’m revising a novel manuscript about the shapeshifters who first appeared in “Metamorphoses in Amber.” I’d also like to continue a series of short stories set during the silent film era of an alternate, magical Earth. Beyond those, a couple of anthology invites and a growing list of ideas are waiting their turn for research, characters or plot. stories by Stuart McLean which he originally read on his CBC radio program. There’s a natural conversational flow to his stories that I admire. Speculative fiction can take you to surprising places and times, introduce you to people who never lived, and teach you the impossible things they can do. As a reader, I love it when I come across an author who’s done solid and clever worldbuilding, or a speculative idea that casts a philosophical issue or ethical dilemma in a new, intriguing way. When I write F&SF, I enjoy coming up with unique settings or wild situations that couldn’t happen in the real world. 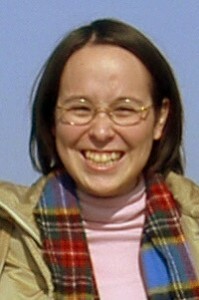 Aliette de Bodard lives in Paris, France, where she holds a job as a Computer Engineer and writes fiction in her spare time. Her short stories have appeared or are forthcoming in venues such as Interzone, Realms of Fantasy and Gardner Dozois’s The Year’s Best Science Fiction. She was a Writers of the Future Winner in 2007. In addition to writing, she also reviews fiction for The Fix Online. I was waking up and preparing for a very intensive meeting at six in the morning, and decided to check my emails on a whim. What happened next was, in order: I stifled a scream not to wake up the neighbours, stood uncertainly for a split second before going to wake up my boyfriend and screaming into his ear (which was really a mean thing to do to him this early in the morning for which I’ll have to make up), and reread the mail to be sure I hadn’t dream the whole thing. Then I forgot about it for the whole day, because I couldn’t afford to be distracted by this. That rather depends on the definition of “writing”, I suspect… I started writing in earnest about ten years ago, when I completed several embarrassingly bad novels, but I wasn’t really serious about it until four years ago, which is when I started submitting in addition to finishing drafts. How difficult is to write in a second language? It’s actually not so difficult, because most of my reading also takes place in the same language, so the terms and ideas I refer to when I’m writing are already “pre-registered” in English in my brain. It did take me a few years to get to that point, though, so I suspect there is a fair amount of groundwork involved that I just don’t see anymore. The one advantage in writing in a second language is that it’s very much liberating. In French, I carry a lifetime of teachers smacking my fingers until I got the language down properly, until it’s pretty hard to actually deviate from the correct grammar and the correct phrasing: there’s a strong mental block that I’m aware of but have trouble overcoming. I feel more free in English to twist the words until they bleed, and that’s a great thing for crafting fiction. If the price to pay is the occasional gallicism, I’d say that’s more than fair. Do you ever write fiction in French? Weirdly enough, no, it’s not really something that works for me. As said above, I actually have very little idea of what the vocabulary of speculative fiction would be in French; and most of my writing habits and style are actually in English. It’s amazing how little of that translates into my mother tongue. Again, I suspect I could overcome this with practise, but one language is already more than enough to keep me busy. I think that, if anything, it would be when I started taking it seriously: about four years ago, I made the decision that I would write and publish short stories so that I would have enough credits to get my novel published. That was when I started writing regularly and submitting to short fiction markets; and shortly afterwards, I made my first paying sales (to a since-defunct fantasy ezine called Deep Magic, and then to Shimmer). Of course, it later turned out that the novel that had started all of this was not publishable unless I butchered it, but by then I was in a position to write a much better novel anyway. I’ve actually managed to whittle down the to-do pile to something manageable: I have one short story project I’m chipping at, and I’m wrapping up the first draft of an alternate-history thriller, Foreign Ghosts, which is set in a universe where China discovered America a century before Europe (it’s based on two stories published in Interzone, “The Lost Xuyan Bride” and “Butterfly, Falling at Dawn”). I recently read Daniel Abraham’s awesome A Betrayal in Winter (and am looking forward to both sequels). Now the top of my reading pile is one non-fiction book about Chinese culture, and Powers by Ursula Le Guin, which I’m also very much looking forward to. I enjoyed the deceptive simplicity of both Gifts and Voices, the previous books in the trilogy, and I’m told this is the strongest of the three. What I like most about speculative fiction is that it allows you either to create and sustain entirely new worlds with their own rules, or worlds that differ from ours in some important way: it could be several important scientific discoveries, or the fact that magic works, or a divergence from recorded history. As a reader, I love being immersed in such worlds for the sheer strangeness and wonder of walking the streets of a totally different city, or of seeing the landscape of a vastly changed world unroll before me, with all its idiosyncrasies. As a writer… working out and conveying the fundamental differences in mindset between the people of such a world and our own 21st-century world has to be, hands-down, the part that I prefer in writing speculative fiction. The host, Jim Freund has invited me to chat and do some reading. We might even take listener calls. I used to do radio theater and took radio broadcasting waaaaay back in college, but this is going to be my first author appearance on the air. It should be fun. So stop by to listen. Of the awards given at WorldCon this year, the one I’m watching with the most interest (aside from short stories) is the Campbell. Since, by lucky chance, I’ve met all but one of this year’s crop of Campbell nominees, I decided to introduce them to you via a series of interviews. I’ll post one each Monday for the next five weeks. To start you off, meet David Anthony Durham, whose birthday it is today. 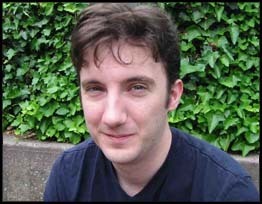 David Anthony Durham is the author of the fantasy novel Acacia: The War With The Mein (2007, Doubleday/Anchor), as well as the historical novels Pride of Carthage (2005. Doubleday/Anchor), Walk Through Darkness (2002, Doubleday/Anchor) and Gabriel’s Story (2001, Doubleday/Anchor). His novels have been published in the UK and in French, German, Italian, Polish, Portuguese, Romanian, Russian, Spanish and Swedish versions. Three of his novels are currently under option for development as feature films. The Other Lands, the sequel to Acacia, comes out in September 2009. David is a two time John W Campbell Award Finalist for Best New Writer. I skipped through the house and informed my kids, who were having a story read to them by their mother. They all take such things rather calmly. They just sort of looked at me, smiling politely and making noises. I wanted more. So I pointed out the fact that we’re all going to Montreal for Anticipation, which is even more… um, filled with anticipation now. They nodded and seemed a little more engaged. Then I mentioned that Neil Gaiman would be there. That sealed it. We all did happy dances, which was rather nice. I have journal from eight grade that I filled with stories of warrior turtles with battle axes. I say in that journal that I’m going to be a writer. I did forget that for a while, and flailed around with other art forms and aspirations, but I’d gotten serious by college. By the time I was a sophomore I’d focused on writing again, and never stopped. Can you point to any ways in which your time living abroad has influenced your writing? I met the woman that became my wife and the mother of my children. That’s influenced everything. How in the world do you balance your job teaching, time with your family and writing novels? Things are changing. I’ll be leaving my job at Cal State at the end of this semester. Next July we’ll arrive back at our house in the woods in Western Massachusetts (we’ve been renting it), and there I’ll primarily write, while also continuing to teach for Stonecoast. That’s become a special thing for me, as they have a Popular Fiction emphasis to their MFA. I can work with aspiring writers, but can do so with fantasy and sci-fi and crime and historical works as the focus. It’s great fun. It’s my hope that this move will get the balance back in our home life. And I plan on producing more fiction than ever before! It never felt like a hobby. From college on everything I wrote was in the service of becoming a publishing novelist. Took a bit longer than I expected – two unpublished novels, for example – but I was always serious about it. I’ve finished the sequel to Acacia, called The Other Lands, which will come out in September. I’ll be doing some copy editing and doing various pre-publication stuff for it. My next book will be the third and final book in this trilogy. It picks up right where the second volume leaves off. So I’m kinda in between the two volumes just now. I’m also about to read the screenplay Andrew Grant has written for Acacia. It’s not exactly work – since I’m not actively participating in the writing – but it’ll be interesting to dabble in movie stuff. In terms of fiction I have four books open at the moment. I’m reading Kay Kenyon’s Bright of the Sky and the first Wild Cards book. And I have Ekaterina’s The House of Discarded Dreams under my bed at the moment. I’ve been enjoying it for some time, but it’s gotten into that cycle where I never manage to finish it because things keep interrupting. Those are my pleasure/professional choices at the moment. I’m also reading The Bourne Identity as part of a Popular Fiction course I’m teaching at Cal State. Fantasy taught me to read, to dream, to travel in my mind. CS Lewis and Tolkien and Ursula LeGuin were hugely important to me. But then I spent a lot years in college and grad school focused on literary fiction. I don’t regret that, and literary fiction will always be important to me too, but… A few years ago I realized that I hadn’t been ENJOYING reading as much as I wanted to. And I “realized” this because despite the literary setting I was living in I kept seeking out speculative authors: Octavia Butler, Frank Herbert, Neal Stephenson, Neil Gaiman… I was choosing titles from different places than my literary colleagues, and I was really digging those places. I fell in love with reading again. Why exactly I can’t say, except that by nature I like to read novels that mix ideas and characters with imaginative journeys. I crave both, and speculative fiction provides both in great measure. Thanks, David, and Happy Birthday! For years, while I worked at Tears of Joy, and then after, Lance Woolen was my Technical Director. The man is brilliant. Even today, living in NYC, if I run into a question of how to build something, I call Lance. If he tells me something is not possible to build, then it’s not. But it’s very rare that he can’t find a way out of the impossible. This week, for my AMC column, I interviewed him about the work he did on Coraline. This week, readers, allow me to introduce Lance Woolen, a career puppeteer and one of Coraline’s puppet builders. He’s giving us a look at the immense amount of work involved in translating Neil Gaiman’s book to the silver screen. via Go on by and read what Lance has to say. It’s good stuff, I promise.